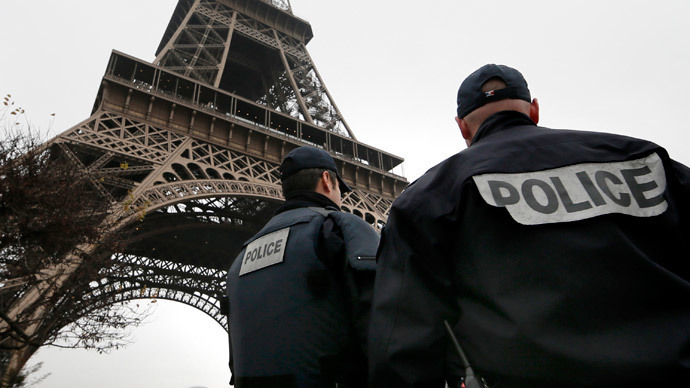 An armed incident has been reported in the Trocadero area close to the Eiffel Tower in Paris. The vicinity has been evacuated and traffic is choked near the area. “Tourists have been evacuated in the Trocadero and there are many police officers,” witnesses told Le Figaro. Traffic was partially blocked, RATP (Régie Autonome des Transports Parisiens), a state-owned public transport operator, confirmed on Twitter. Law enforcers searched the Trocadero metro station, and shooting was also reported at the site. However, the Interior Ministry later said the incident was a false alarm. It happened shortly after a gunman took several hostages in a kosher grocery store in eastern Paris. A police operation is underway there with traffic hindered and near-by schools evacuated. Earlier on Friday, the suspects in the Charlie Hebdo shooting took one or several hostages in Dammartin-en-Goele commune 50 kilometers from Paris. Tensions are running high across France following the worst terror attack to strike in a generation. Earlier on Thursday, a man opened fire on a police officer and a city employee near La porte de Chatillon, Montrouge commune, south of Paris. The police officer died shortly after the attack. The suspects involved in the Montrouge fatal shooting of a policewoman on Thursday have been identified as Hayat Boumeddiene, 26, and Amedy Coulibaly, 32. One or both of them are also suspected of having taken hostages in a grocery store in Paris on Friday.